Olympic sentiment in the UK has undergone a sudden reversal. With the London Games opening on July 27, Britons have stopped moaning about recent bungles. The media, sensing the public mood, has swung squarely behind the occasion. Whatever goes wrong, Olympic investment is likely to feel like it was worth it – even if the finances argue otherwise. London and Britain badly need the event to go well given the run of dire news from the country – a bank rate-fixing scandal, phone hacking by the media, a double-dip recession, Olympic security concerns and an embarrassing mix-up between the North and South Korean flags at a recent football game. The British summer has delivered record rainfall. And this time last year, London was in flames with mass rioting and looting spreading to the regions. A deficit-cutting country can’t really afford the $14 billion cost either. True, pre-Games building may have delivered an economic boost, but the latest GDP decline shows that has mostly passed. London will doubtless feel a hangover when the show leaves town. The current squeeze of services and accommodation, a factor in the capital’s buoyant real-estate market, will unwind. The economic legacy is doubtful too. A large part of London’s eastern suburb has undergone speculative development. Regeneration will follow if businesses really want to relocate there. But they may not. Other parts of the capital remain the first choice for entrepreneurs. Still, the problems in the run-up have been fixed. The army has made good the shortfall caused by failures by a private security contractor. The city is moving. If the opening and closing ceremonies are what count from a marketing perspective, the UK can press home its advantage in creative industries. British imagination and “soft power” may prevail over Beijing budgets. Feeling the atmosphere in London, it’s easy to see why even debt-ridden Spain is keen to press ahead with its bid to host the 2020 games. But the UK has the confidence of financial markets. Madrid, on the verge of a bailout, is surely sending the wrong signal. There will be more glitches, and there is the risk of worse. The world is watching – news broadcasts in former Olympic host China have given much airtime to organisational blunders. The UK will be judged on its response to forthcoming challenges. But right now, the Games are paying non-financial dividends, notably a palpable feel-good factor. Sadly the authorities can’t bottle it, let alone bank it. 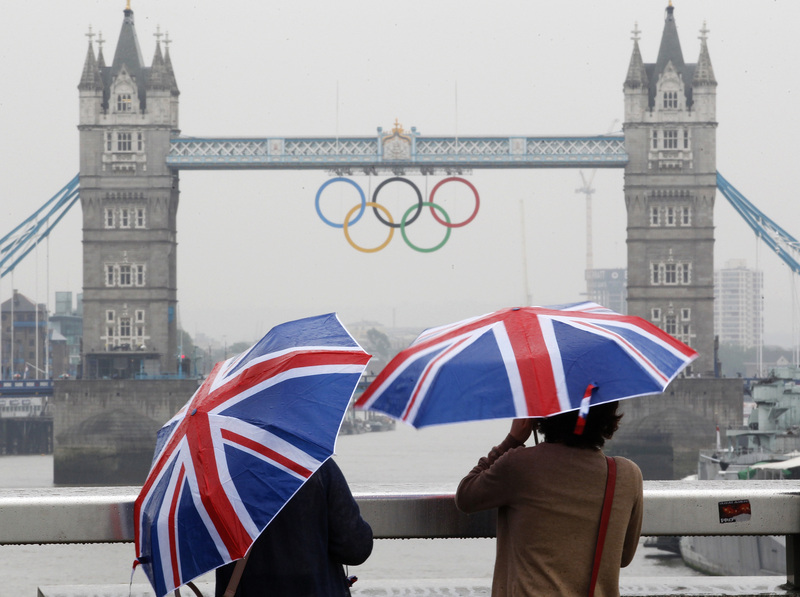 All eyes turn to London on July 27 for the opening ceremony of the 2012 Olympics, an exuberant journey from Britain’s idyllic pastures through the grime of the Industrial Revolution and ending in a contemporary world dominated by popular culture. The three-hour showcase created by Oscar-winning “Slumdog Millionaire” director Danny Boyle will be watched by a crowd of 60,000 in the main stadium built in a run-down area of London’s East End and a global audience of more than a billion.